It is November, and Pachgaon has geared up for the bamboo harvest season. Members of the village, who had migrated to nearby towns and cities during the monsoons, are back. The bamboo-rich forests of Pachgaon’s Community Forest Resource (CFR) are proving to be a huge livelihood opportunity for the village with the Gram Sabha making a turnover of nearly one crore from the sale of bamboo in the last three years. With rights come responsibilities, and this small village in eastern Maharashtra is exemplifying it through the management of its CFR. 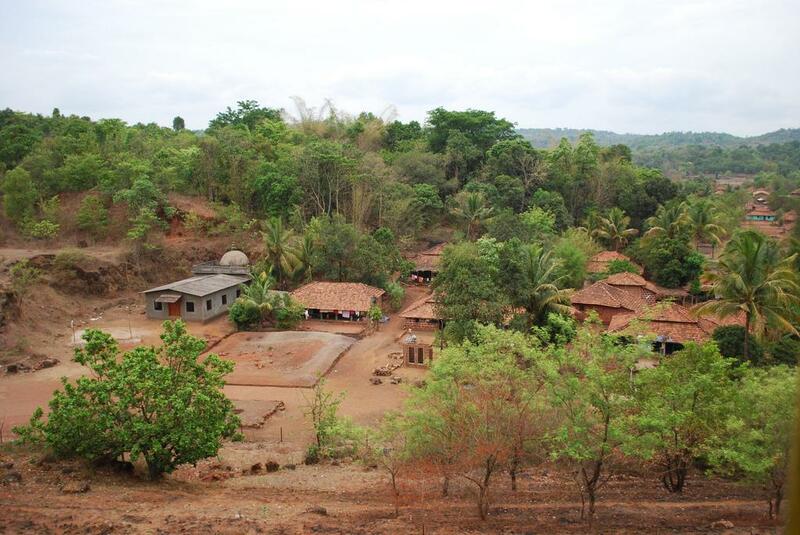 Pachgaon’s Gram Sabha received CFR rights over 1006 hectares (ha) under the Forest Rights Act in June 2012. It was the first village in the district of Chandrapur to receive CFR title deeds. Since then, the village has been exercising its rights of collection and sale of bamboo as well as protection and management of its forests. “When people hear we are harvesting bamboo for sale, they worry we will wipe it out from our forests. This is not true. The Gram Sabha has prepared a working plan for bamboo felling to ensure that it is harvested sustainably. We also learnt the technique of cutting bamboo when we worked as labourers on plantations of Forest Development Corporation of Maharashtra. We have made sure all our members use the same technique”, says Ramesh Tamke, member of the Gram Sabha. Indeed, the village has a set of rules and regulations for harvesting bamboo. For instance, rotational felling of bamboo is practised such that one of the three compartments of the village’s CFR is set aside for protection and natural regeneration of bamboo every year. Only those bamboo poles that are three years old or more can be harvested. While harvesting, at least eight sticks per clump have to be retained. Not more than 65 poles in a day can be harvested by one member…and so on. In fact, the list of measures for the protection and management of CFRs goes beyond bamboo. Immediately after receiving CFR titles, the Gram Sabha invited regulations for the sustainable use and management of its forests from every single household. In its first year of CFR rights recognition, the Gram Sabha met about 180 times to understand their roles and responsibilities as holders of CFR rights, and finalise the rules for management of its CFR. Thus, the entire village was party to the formulation of 115-odd regulations for its CFR. It was also mandatory for at least one member from every household to attend the Gram Sabha meeting; else a penalty of Rs 50 would be imposed. To ensure that people did not lose a day’s worth of employment because of meetings, they were conducted only in the evenings. As a management tool, the area of 1006 ha has been divided into 24 sub-compartments called tapus, which have been given local names recognised by the villagers. For example, Amla bhoyar is the tapu which has a cave with one amla tree on it. Gohru Lavan is another tapu named after a man Gohru who had died there many years back. The tapus are being demarcated through fire lines. The Gram Sabha has also reserved 34 ha of best preserved wildlife-rich natural forest called Pachgaon sanctuary. The sanctuary is also a source of perennial streams. The Gram Sabha’s daily forest register has names with the purpose of visit of anyone and everyone who has entered their forests since the recognition of their CFR. “If there are genuine needs of other villages for certain kinds of forest produce from our CFR, the Gram Sabha sits together and takes a decision. In order to protect their forest resources, voluntary patrolling of forests has been mandated. The village has been divided into groups and each group has a leader. The name of the group leader responsible for forest patrolling for the day is displayed on a blackboard in the heart of the village. The groups take turns. Absence from patrolling, for unexplained reasons, can cost the member up to Rs 200. While the focus has so far been to protect and manage the forests, the Gram Sabha is also considering planting bamboo on the degraded patches of their CFR as well in gaps of relatively dense forests. “The bamboo saplings will have to be procured from Amravati, as there are no nurseries in Chandrapur raising the Manvayil species of bamboo, which is native to our forests”, continued Ramesh. The relationship of the Gram Sabha with the forest department was not always the healthiest with both institutions disagreeing over CFR terms. Conflicts were commonplace. While things are changing slowly, the forest department is of the opinion that the communities need to manage forests more scientifically. “We are not opposed to communities managing their forests but the Gram Sabha should consult the forest department to better manage them. We respect the traditional knowledge of communities but should also be aware that it has been getting lost. These forests are rich in wildlife. If a tiger dies in these forests, the locals would not know how to handle the situation”, said Devender Hire, District Conservator of Forests, Chandrapur Forest Division. One of the most striking resolutions adopted by the Gram Sabha has been the complete ban on the collection and sale of tendu leaves. This has puzzled the forest department too. “They say they don’t collect tendu leaves so that the birds can eat their fruits. That is not easy to understand”, continued Hire. Indeed, the village has not sold a single leaf of tendu since 2013. The Gram Sabha has a sound explanation for the ban. “The collection of tendu leaves entails extensive lopping and setting forest fires, affecting the growth of trees and in turn, the production of edible tendu fruits. Moreover, tendu leaves are used to make bidis, which are not good for health”, continues Ramesh. Fruits of tendu, on the other hand, are known to be nutritionally rich. This has meant a loss of an annual turnover worth Rs 500,000 from tendu, one of the most lucrative forest produce; even so when the forest has it in abundance. The Gram Sabha’s resolve, however, continues to stay strong. The tendu trees are much healthier now, according to the locals. Only time will tell how the results of Pachgaon’s CFR management model compares to ‘scientific’ management of forests. What is clearly emerging is that the Gram Sabha’s model is delivering promising results in terms of improving livelihoods. In 2016, the Gram Sabha was paying its members Rs 220 per day for carrying out activities like weeding and fire lines in the CFR. This is higher than the prevailing daily wage rate under the Mahatma Gandhi National Rural Employment Guarantee Scheme (MNREGS) of Rs 192 in the same year. In fact, the Gram Sabha has adopted a differential model of payment, determined by the profitability of the activity. Given that bamboo is the most profitable resource for the village, the members were paid Rs 385 per day for harvesting it. All bamboo is sold through the Gram Sabha and the payments are accrued into its bank account, which has a Permanent Account Number (PAN) and Tax Deduction and Collection Amount Number (TAN). The labour charges are met entirely through the Gram Sabha’s funds. Pachgaon has not received any external funding for its CFR initiatives till date. In the first year, the village earned revenue of Rs 600,000 from bamboo. This amount was utilised to pay the charges for harvesting bamboo in the subsequent year. Since then, there has been no looking back. On an average, every household in the village is making at least Rs 20,000 in a year from bamboo. The profits to the Gram Sabha are ploughed back into the village to meet the collective needs of the village, decided unanimously. The Gram Sabha is now making plans to carry out value addition of bamboo to make products like bamboo furniture and incense sticks. Pachgaon’s CFR is also abundant in other non-timber forest produce (NTFP) like mahua, choradi and khirni. The Gram Sabha is considering marketing these as well to diversify their basket of forest livelihoods. A stock mapping of the vegetation and species in forests carried out by the GS members revealed existence of 107 species of trees, of which 13 species of NTFP have potential market value. Twenty-two species of grass have also been documented. The Gram Sabha has invested a part of its profits from bamboo to buy 5.5 acres of land adjacent to the village. “For us, CFR is not just bamboo. We did not have a shed for the storage of other NTFPs, but now that we have land, we will build a bamboo shed”, says Rekha Tamte, another member. The plan is to also build an office for the Gram Sabha on this land. For a forest-dependent village like Pachgaon, where less than half the households have agricultural landholdings and wage labour has been the major source of income, the livelihood security model provided under CFR seems to deliver promising results. The revenue to the Gram Sabha from bamboo has brought financial independence, where collective decisions on the utilisation of funds are taken for the development of the village. While economic benefit from forests is an incentive for communities to participate actively in its management, it is not the sole driver. Clearly, tendu leaves would have been filling the Gram Sabha’s coffers, if that was the case. Despite the fact that CFR rights have led to such visible benefits to Pachgaon, neighbouring villages in the same taluk have not followed suit. “In the first three years, Pachgaon and the forest department got into a number of conflicts. Often, the police would come to the village. This had a negative impact on the neighbouring villages, which preferred to stay out of such conflicts. Things have mellowed down this year (2016). Hopefully, other villages will volunteer to claim CFR rights”, says Vijay Dethe, local forest rights activist from the NGO Paryavaran Mitra facilitating community-based forest governance model in Pachgaon. In another taluk of Chandrapur, 10 villages received CFR title deeds in 2014 but there has been no progress in terms of community management of forests in these villages. CFR rights of 103 more villages have reportedly been approved by the district administration this year. While this is news to celebrate, it is also important to remember that recognition of rights is not enough. With its provision to empower communities to protect, conserve and regenerate forests, CFR provides a powerful tool for an alternate governance regime for forests. However, this tool will become ineffective if the capacities of the right holders are not built for the management of their forest resources. This is where training of Gram Sabhas in developing rules for sustainable harvest and management of forest produce, their value addition and marketing becomes very crucial. Pachgaon has had the fortune of guidance from NGOs like Paryavaran Mitra and the resolve and knowledge of the community to set an example in CFR management. However, the scope of work of such local NGOs is limited in its coverage. The government will have to assume a role here, which can be supported by civil society groups as well as members of Gram Sabhas like Pachgaon.